Five points. A seventh place. That is all Lewis Hamilton needs to clinch a fifth world title, and he has three races to do it. 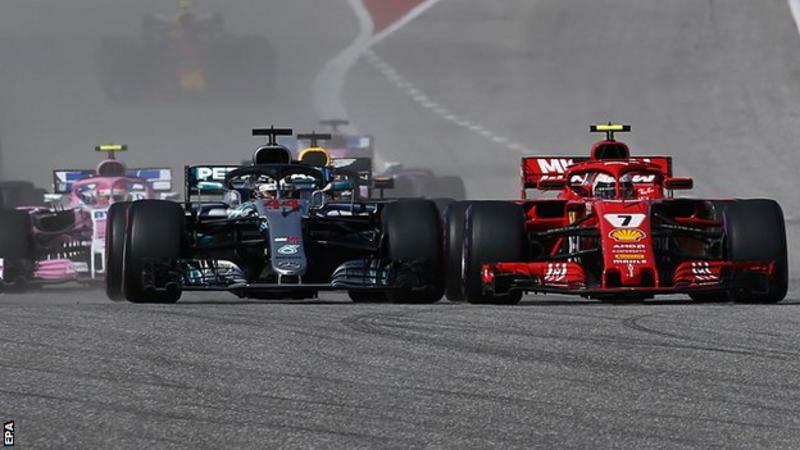 Many expected it would be in the bag by now, and on Sunday morning at the United States Grand Prix it looked a good bet, with the Mercedes driver starting on pole and title rival Sebastian Vettel fifth, but needing to finish second if Hamilton won to keep the championship alive. Well, the championship is still alive. Just. 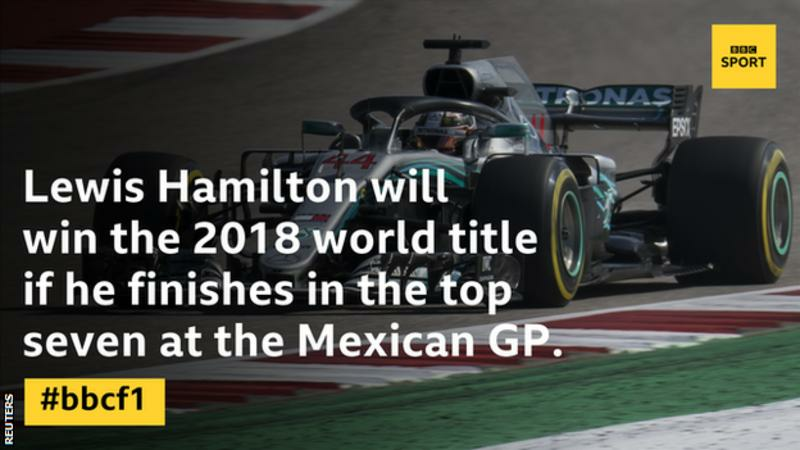 It is hard to imagine Hamilton, who has won nine races so far this season, will not be able to achieve what he needs over the remaining races in Mexico next weekend, and then Brazil and Abu Dhabi. But Austin proved the folly of taking anything for granted in this Formula 1 season. 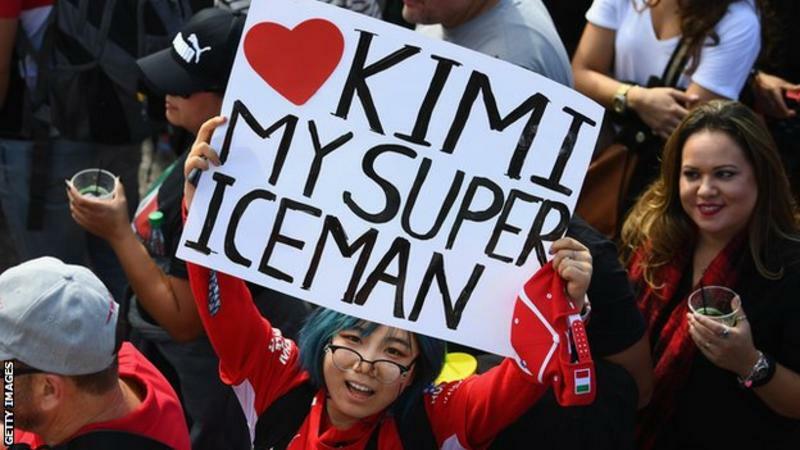 Hamilton toiled, despite another brilliant pole position, and Kimi Raikkonen broke the mould by taking his first victory since the opening race of the 2013 season. So the Briton has to wait for his historic moment. Overall, it was a chastening race for Mercedes. The performance advantage they have shown since Singapore four races ago was gone, and in a season in which the narrative has been dominated by errors from their rivals, this time it was their turn to make mistakes. "It was definitely a lesson learnt, and we will go back to the drawing board," said Hamilton. "Performance-wise it wasn't our greatest weekend." Mercedes' race unravelled in stages from the moment Raikkonen beat Hamilton off the line and into the first corner, a scenario Mercedes team boss Toto Wolff had admitted he feared on Saturday night. Ferrari had chosen to start the Finn on the fastest ultra-soft tyres; Mercedes and the rest of the top five went for the super-soft, thinking they would be more durable and a better race tyre. But the ultra-softs have a crucial grip advantage off the line and on the opening lap, and sure enough Raikkonen was alongside Hamilton into the first corner and there was nothing the man who started on pole could do about him taking the lead. Hamilton immediately realised he was hanging on, and Mercedes were looking for ways to win a race that already looked like it might be getting away from them. They saw an opportunity with the introduction of a virtual safety car on lap 11 and pitted Hamilton. The idea was to take advantage of the much-reduced time loss of a stop under the VSC, switch to a two-stop strategy, catch Raikkonen back up and have a stop to do but be on a better tyre at the end of the race. Sure enough, Hamilton caught Raikkonen before the Finn made his own first stop, but Raikkonen defended brilliantly, and when he rejoined on his fresher tyres he was soon faster than Hamilton. Mercedes then left Hamilton out too long before his second stop. He was more or less holding Raikkonen at 17 seconds until lap 30, and had a pit stop's advantage over Max Verstappen, superbly up to third from 18th on the grid. But then Hamilton hit traffic and at the same time his tyres started to fade badly. There was a one-lap window on lap 32 when Hamilton could have pitted and rejoined still ahead of Verstappen but Mercedes left him out until lap 37, and he rejoined 12 seconds off the lead and 10 seconds behind the Red Bull. In essence, in looking for a tyre off-set for the end of the race, Mercedes were too greedy. They also underestimated the difficulty of overtaking on a track where Hamilton has done that well in the past, but which is more difficult in these wider, faster cars introduced since 2017. There was a wider problem for Mercedes, too. "Today, an outlier was that we didn't have great pace and we had worse tyre usage than everyone else, which is rarely ever the case," said Hamilton. "So I think we were forced into a two-stop for certain things we had that were not ideal with the car. We didn't know that was going to be the case, but it was a real struggle. The car was a real handful. "There are a lot of things that we could have done better today. There were certain things that weren't optimum for us, which made it look worse than it was. "So, not an ideal Sunday, but up until today it had been a good solid weekend and all the decisions were good but Ferrari seemed to gain a bit of pace and we seemed to lose a bit. "The car was in a million pieces this morning, which wasn't ideal for the race. "So probably if we hadn't had a morning like that, our race outcome would have been a bit different." This was a reference to the fact both cars needed to change their water pumps on race morning. Something clearly happened as a result of the hectic work - perhaps an error in the way the cars were put back together - that affected Mercedes' pace in the race. As for not quite tying up the title, Hamilton said: "I honestly haven't had a single thought about winning the championship this weekend. There were a lot of questions about it but my sole goal has been to win these four races. That's what my mind was set on. "You can't win them all. Today is naturally not the greatest but we still have three to go. That will be the goal - to turn around the good performance we've had and see if we can bring it back to the next race. "I honestly don't care where we win it. If it was Silverstone that would be special, but all the others it doesn't matter. As long as it gets done, and then we can sleep better." While Mercedes were struggling after dominating the last three races, Ferrari, who slipped off the pace in Singapore, Russia and Japan, were suddenly right back on the pace. In hindsight, it looks like Hamilton's pole was won by driver more than car, and that the Ferrari was the quickest car at the Circuit of the Americas. 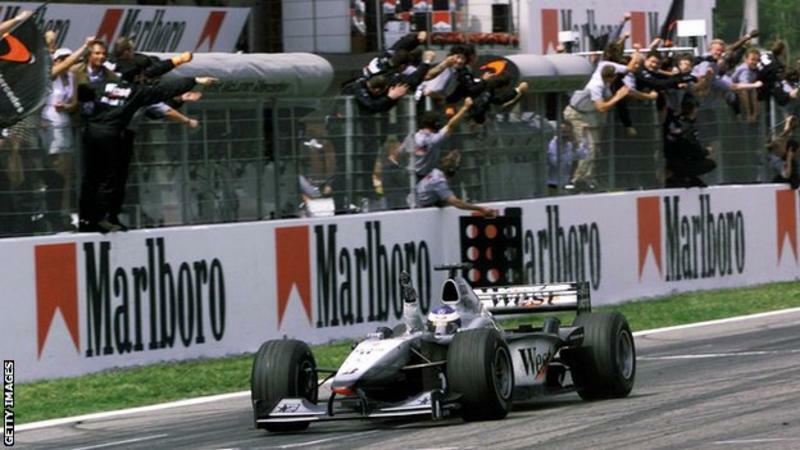 The last time that was the case was the Italian Grand Prix in early September. Ferrari removed from the car some developments that were introduced in the intervening races, and turned it back into the machine that had Mercedes so worried in the summer before the Italian team's season unravelled. Vettel, though, was ambivalent about this turn of events. "It took too long," he said. "You can see it as good news but also as bad news. If we have to go back to a car that was competitive three, four months ago, it can't be good news if you think about it." Why had it taken so long to realise the updates were not working, he was asked? "It is a bit hard to explain," he said. "Certainly we felt the car was not as strong as it was before but if you don't see there is anything wrong then you don't know there is something wrong. "All the steps we did seemed to make sense but now looking back they didn't. Clearly there was something we missed. We haven't understood yet why or when the error exactly took off or started, so there is a lot of stuff for us to do and understand. But I am pretty sure we will do what is necessary." 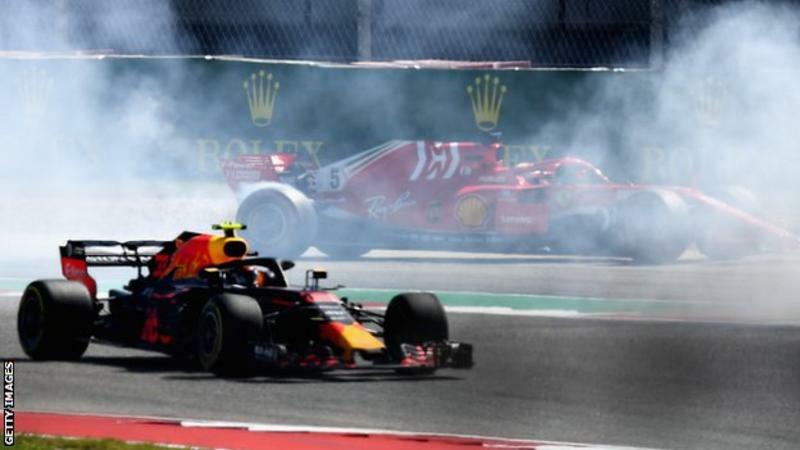 And after yet another driving error - a spin when racing with Red Bull's Daniel Ricciardo on lap one - Vettel, who recovered to fourth, admitted he and Ferrari had some thinking to do over the winter. "It is not like there is a fundamental problem," he said. "In the end it looks a lot worse than it was. I have no problem admitting the mistakes I've done. "I think the crucial bit has been that for a big part of the season we didn't really have the speed to be there. That doesn't help. But overall we have the potential, we need to still grow and learn, so I think there will be a lot of stuff over the winter we need to review, all of us, including myself." 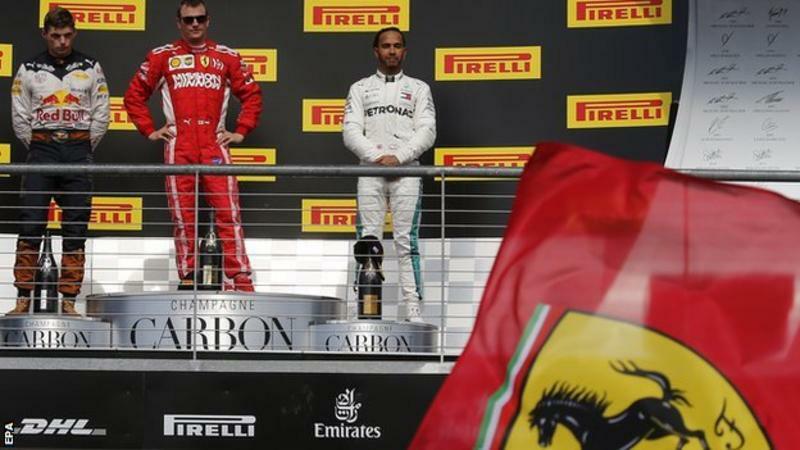 Amid all the title excitement, the win went to Raikkonen, and a good one it was. He drove superbly through the race, defending well against Hamilton before his first stop and then controlling the rest of the afternoon under intense pressure. It was the 21st of his illustrious career and it could be his last, given he is moving to Sauber for the next two years and will be 40 next October. Raikkonen says he always races to win and despite this being his first since March 2013, he welcomed it in his usual phlegmatic style. "I'm happy with how it went," Raikkonen said. "I'm happy for the team. Obviously we had a pretty rough two races and I'm proving to people certain things. "I might be getting older but it's not too bad still. Maybe I'm OK to be [here] a few years more. I enjoy it, so we are here to try to win. I always try to do it, but obviously it's not easy, otherwise anybody could do it. We'll have for sure some fun tonight and we go next week to the next one. "It was a great day to prove some people wrong and have a good race, but it doesn't really change anything for me. It's just a number. Life goes on."